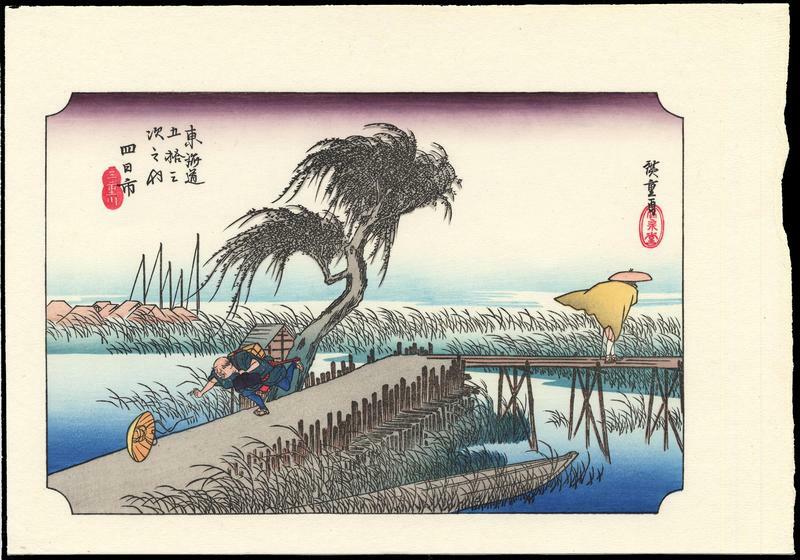 Hiroshige 1, Utagawa (1797-1858) "Kambara" - Woodblock - Chinese and Japanese woodblock prints for sale, silkscreen, scrolls, watercolor, lithographs. Artwork Details for Hiroshige 1, Utagawa (1797-1858) "Kambara"
Condition: Fine condition. Full margins; No tears, creases, folds, or stains. Rich colours and fine embossing. Perfect in every way. Never framed.